Imagine that you live near one of the 127 active volcanoes in Indonesia, threatened by the next eruption that could endanger your family. Imagine that your house stands in one of the most seismically-active zones in the world, or that your family lives in one of the 317 districts with high risks of flooding. This is a reality that at least 110 million Indonesians already face, and more could be affected by the impacts of urbanisation, climate change, and land subsidence. The country is known as having a ‘supermarket’ of disaster hazards. Over the past 20 years alone the Indonesian government recorded more than 24,000 disaster events that caused 190,500 fatalities, displaced almost 37 million people, and damaged more than 4.3 million houses. The combined losses of these disasters totalled almost $28 billion, or about 0.3 per cent of national gross domestic product (GDP) annually. Indonesia has made important strides to strengthen its resilience to disaster shocks, including gaining much experience in resilient recovery and building-back-better. An example is the Indonesia Multi-Donor Fund Facility for Disaster Recovery (IMDFF-DR), which was established in 2009 to complement government disaster management programs that support efforts to rebuild local economies, restore individual livelihoods, reconstruct housing, and strengthen community resilience to future disasters. One of the distinctive aspects of disaster risk management in Indonesia is the focus on communities. In the context of disaster recovery, this means entrusting rebuilding processes to household groups in communities affected by the disaster. This approach was successfully used in recovery efforts in Aceh and Nias after the 2004 Indian Ocean Tsunami. 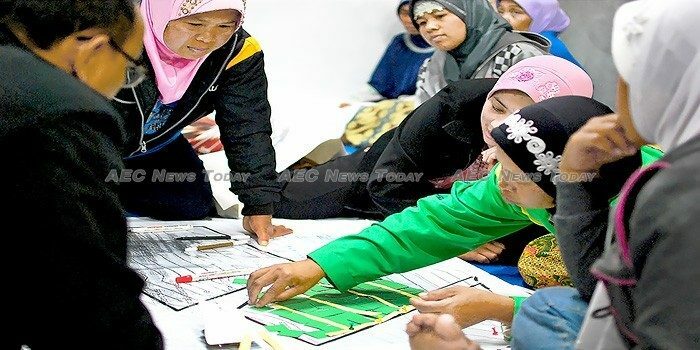 It was also used in Java after the 2006 earthquake in Yogyakarta and tsunami in Pangandaran, where the World Bank helped the government to apply the community-based approach to settlement reconstruction. Building on experience the IMDFF-DR supported communities to develop and implement integrated Community Settlement Plans. To date, the IMDFF-DR has helped to facilitate the relocation of 1,510 families affected by the eruptions of Mount Sinabung in North Sumatra, and 2,516 families around Mount Merapi near Yogyakarta, leveraging government funding to purchase building materials needed for reconstruction. This has allowed the construction of about 4,000 houses and other critical infrastructure. Empowering communities for the reconstruction of homes and community infrastructure has not only been more efficient and cost-effective, but perhaps more importantly, it has helped with the healing process of recovering after devastating disaster events and improved the resilience of communities. Rapidly developing, Indonesia stands at a crossroads on how to shape its growth in coming decades for the greatest benefit of its people. With a 30-year Disaster Management Master Plan expected to be launched this month, the country is defining its national priorities. Global experience shows that a comprehensive framework for disaster resilience can help countries to safeguard people and development outcomes from disaster risk. For Indonesia, such a framework could focus scaling up investments in disaster risk reduction, enhancing financial resilience, and improving adaptive social protection. Ex-ante investments in risk reduction are necessary to decrease the overall impact of disasters and can bring many co-benefits to the national economy and society. At the same time, ex-post financing such as contingency finance, is needed to ensure efficient and sustained recovery following a disaster. Finally, as disasters disproportionally impact the poor, social protection programs and delivery systems are needed to help support the poorest and most vulnerable before, during, and after disaster events. Against the backdrop of increasing impacts of disasters there is an urgency to strengthen resilience against disaster risks and promote disaster risk reduction as an integral component of all investments. With Indonesia’s successful track record in recovering from disasters, the country faces a unique opportunity to advance and innovate its national agenda on resilience. This article was co-written by Zuzana Stanton-Geddes, Sri Probo Sudarmo, Jolanta Kryspin-Watson. It was first published by the World Bank under a Creative Commons License and is reproduced here with its permission.